We have all been waiting for Red Dead Redemption's backward compatibility and it's finally here! You can now play John Marston's adventure on Xbox One and we have prepared a first GSY Tech video to compare both versions (the original on Xbox 360 and the emulated one on Microsoft's current hardware). We'll have more as soon as possible, but in the meantime, enjoy! 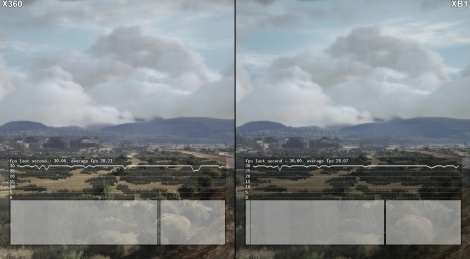 Note: The 0 fps drops in the first video are due to the appearance of the different writings the plugin misinterprets. Update 2: Added a fourth video. This was the BC game I've been waiting for. One of the best games ever. Time to get back on the saddle. Yeeehaw!! I really do need to play through the game. So much praise but have yet to pick it up. Actually I play this game for a few weeks now but on PS3. Yes there are massive frames drops, but damn....That game is so awesome!!! Considering they fired all the developers who created the game right after its original release, and they stated they would never bring it to pc because, "too many pirates" I wouldn't hold your breath. Just a marketing move IMO. Let's dig some more money. There is always someone, who will buy it. But yeah....fantastic game! No doubt. "(the original on Xbox 360 and the emulated one on Microsoft's current hardware)." It's not emulated, it's ported. PowerPC code is waaaay too hard to emulate for the XB one to do it smoothly. It would probably struggle emulating gamecube games. No, it's emulation, they do not port games, the game code is the exact same as the original on 360. MS did both consoles, they know how they can emulate it on their latest one, it's not some random emulation software from someone on internet. Each game has to be downloaded even if you have the disc because it's put into an emulator containing the original game's "ISO", that's why even small Arcade games like the Sonic ones that weighted a few 30-50 MB now weight a few 500+ MB, because it contain the emulator (which is needed to trick the One thinking it's a full game). If it was ported games would run way better as the One is way more powerful than the 360, and games would benefit from higher rendering resolution and more. Err no. You are clearly getting mixed up with Team Bondi who made LA Noire (and who also made The Getaway series on PS2). Rockstar San Diego are still with under the Rockstar Games name. Its quite ironic they never brought Red Dead Redemption to PC when they clearly come from a PC background with their early successful series Midtown Madness. Their other game before Red Dead Redemption, Midnight Club LA, its weird how nobody is ever screaming that it never came to PC. 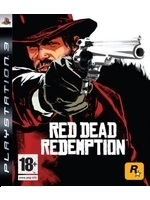 Red Dead Redemption, great game but I must agree with some other people that it isn't the most amazing thing ever, like some people would have you believe. That Act 2 part in Mexico is SO tedious and drags on forever. It picks up eventually toward the end but that Mexico biut really brings the game down for me. Hopefully they will make a sequel at some point but I'd still prefer a Bully 2 over a Red Dead 3 game any day (YES Red Dead 3 as in Red Dead R_______ not Red Dead Redemption 2 that a lot of morons keep calling it). Calling people morons for not knowing about red dead revolver, really? Getting rid of your employees doesn't equal closing your franchise in San Diego. Also, there is no need to be pedantic over its name.